We are Tower Garden growers in the foothills of the Rocky Mountains in Alberta, Canada – elevation 1,037 m (3,402 ft). It’s cold here! 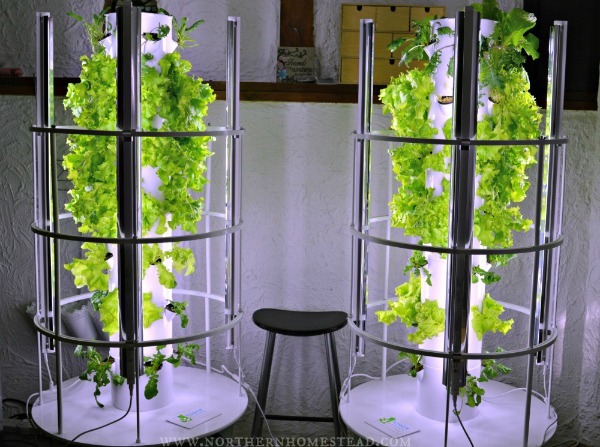 The short growing season and the cool, short summers were the main reasons we got into Tower Garden gardening. We wanted to be able to grow more in a short summer, and also grow in the off season indoors all winter long. 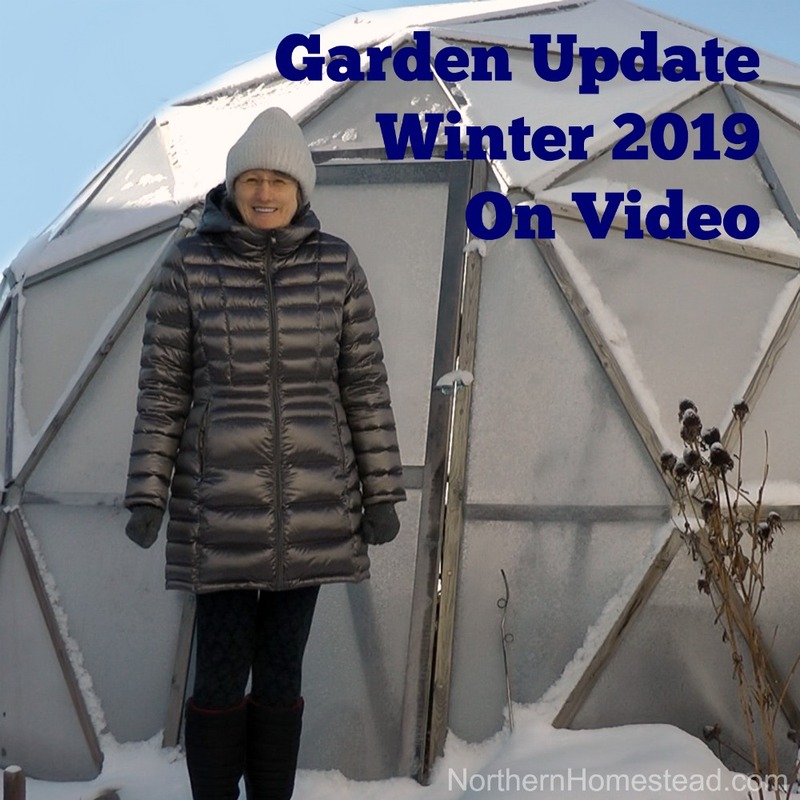 Here is our experience growing the Tower Garden in cold climate. 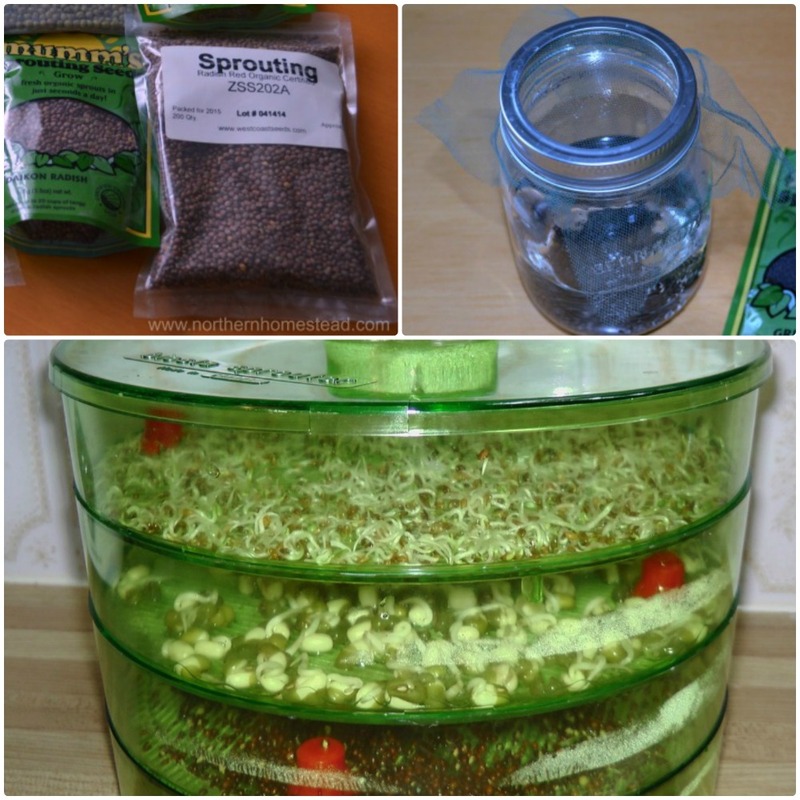 How does the Tower Garden help us to grow food in the short summers? We have about 100 frost free days in the summer. 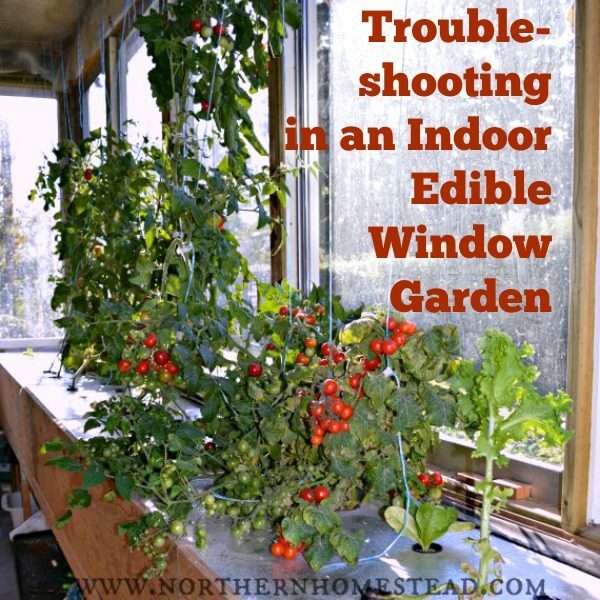 For heat loving summer crops like peppers and eggplants, this is not enough. Using aeroponics and the specially formulated plant food, we can grow up to 30% more produce compared to traditional soil gardening during the same time period. Simply put, this means with the Tower Garden we get 30 more growing days. This is huge for us. 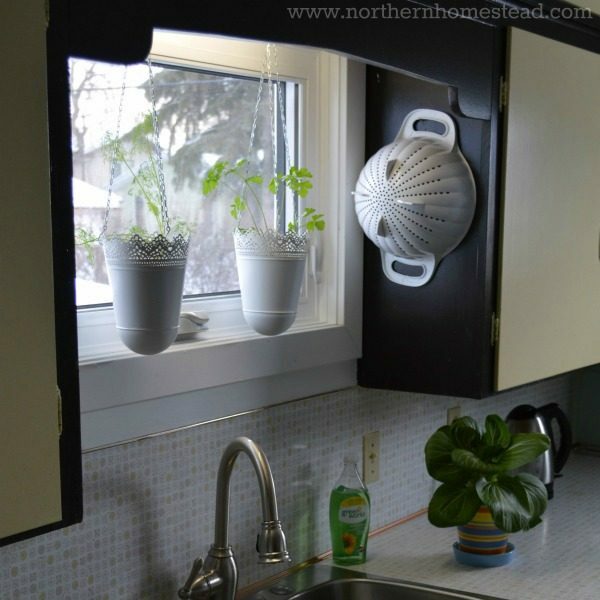 Plus the Tower garden can be planted indoors and moved outdoors without disturbing plants, adding even more growing time. 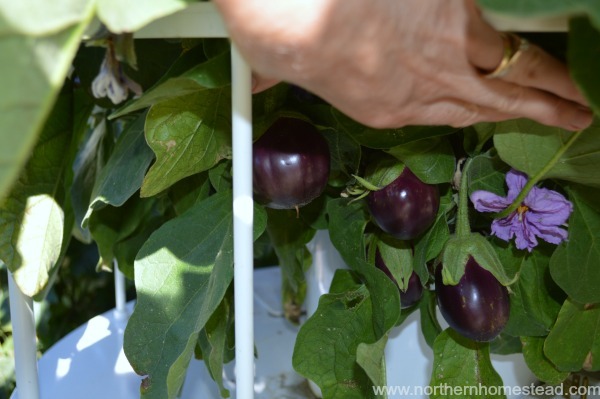 This way we can harvest peppers and eggplants here in Alberta from July until the frost ends our growing season often in early September. 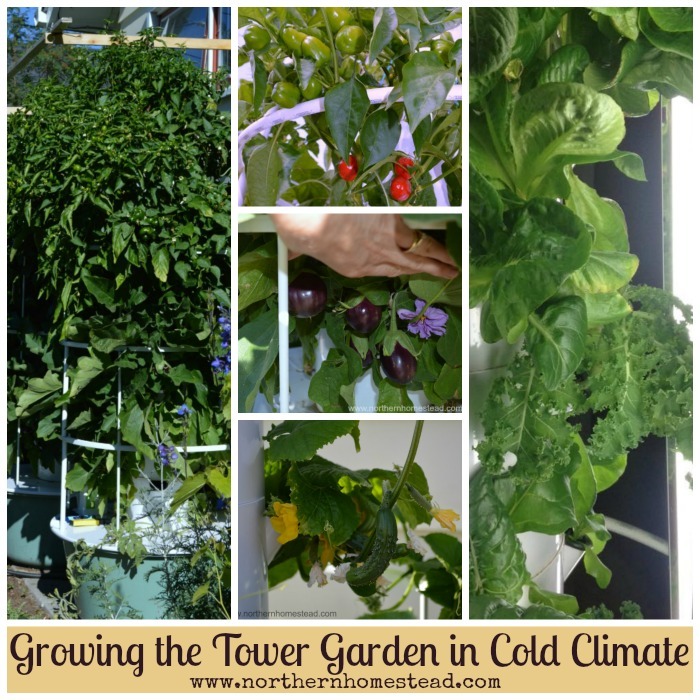 How does the Tower garden help us to grow food in cool weather? 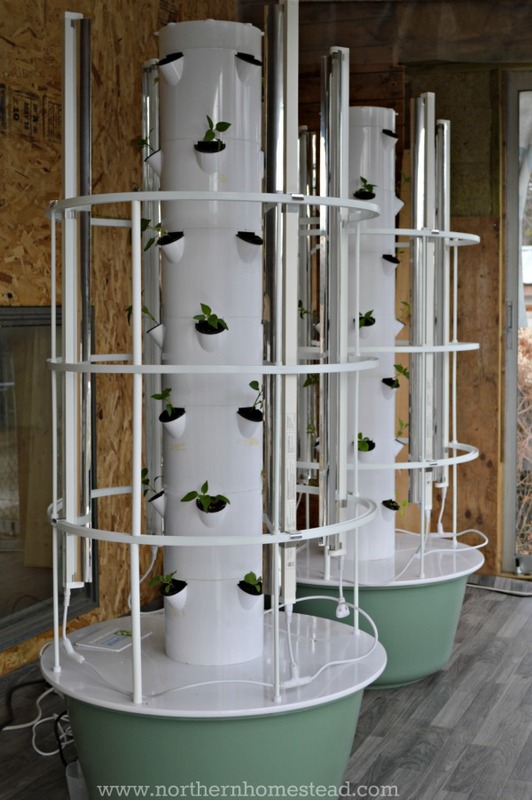 Growing vertically, the Tower Garden allows you to grow up to 28 plants in less than six square feet of land! Because of its very small footprint, we can use micro climates in our garden and build wind braces for the Tower garden. Our Towers stay at the south facing wall with a glass wind break. It is the warmest spot in our back yard. Since the plants in the Tower Garden are always perfectly watered, even some hot weather stages are not a problem. 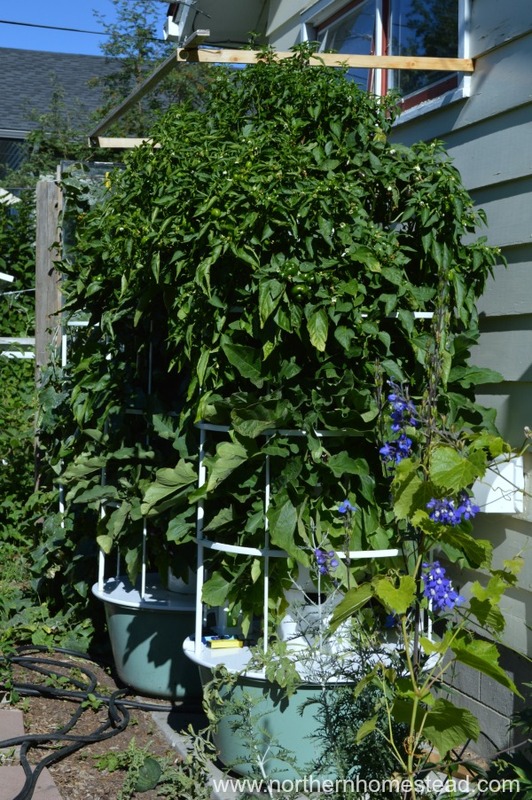 The Tower Garden works great for hot climate, therefore in our cool climate we do not have to worry about some unexpectedly hot days. 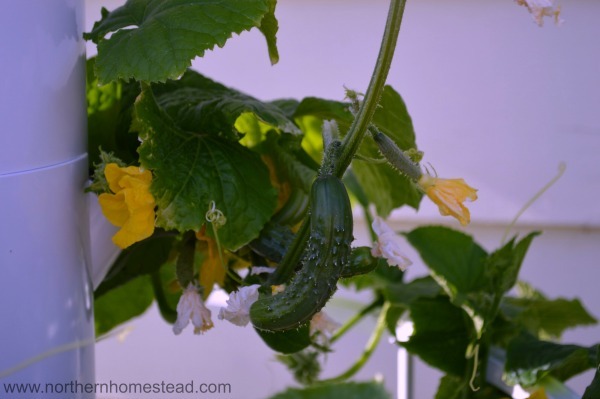 Growing cucumbers has always been a challenge in our cool climate. In the protected Tower Garden they grow amazingly well. 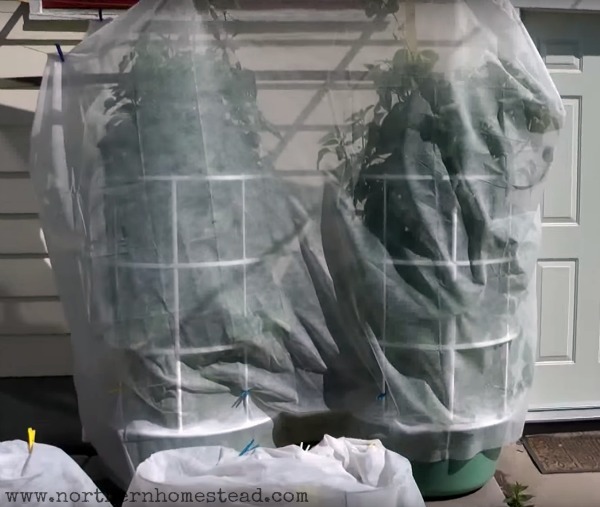 The Tower Garden can also easily be wrapped into a Plant Protection Blanket during cold nights. If sudden snow occurs (can happen here at any time) we have even placed a heater under the blanket to add additional protection. We also use a water heater to protect the water from getting to cold. Heating up the soil would not work as easily as heating up the solution for the Tower Garden does. 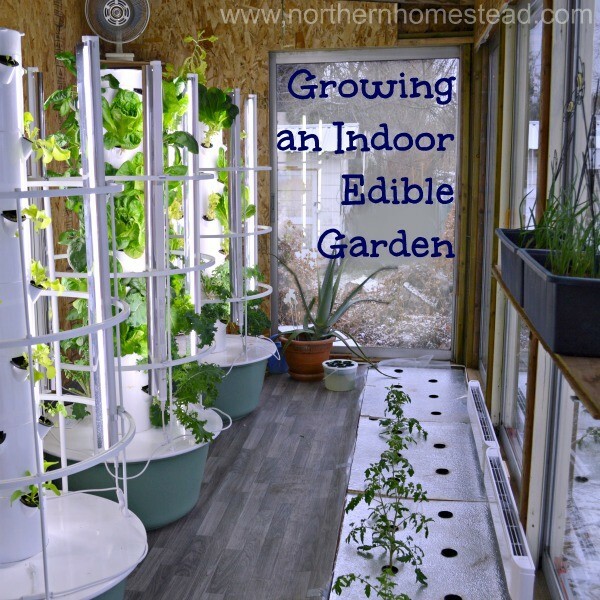 Can we grow food in the off season with the Tower Garden? 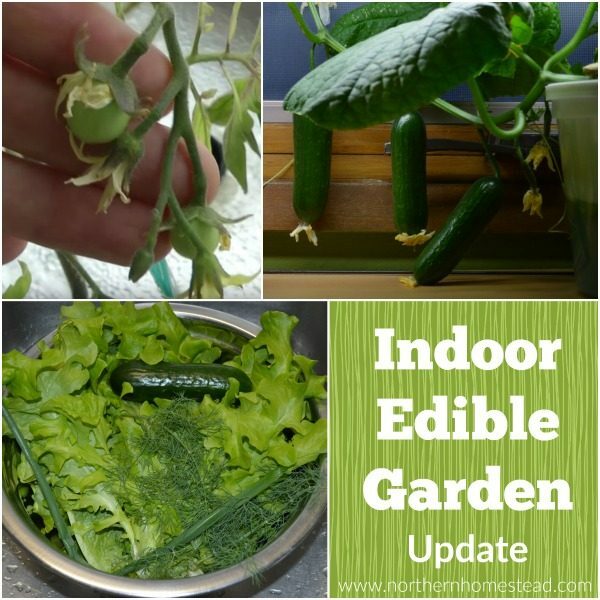 Once the summer crop is done, we clean the Tower Gardens and take them indoors. Now we replant them with greens and herbs for winter growing. 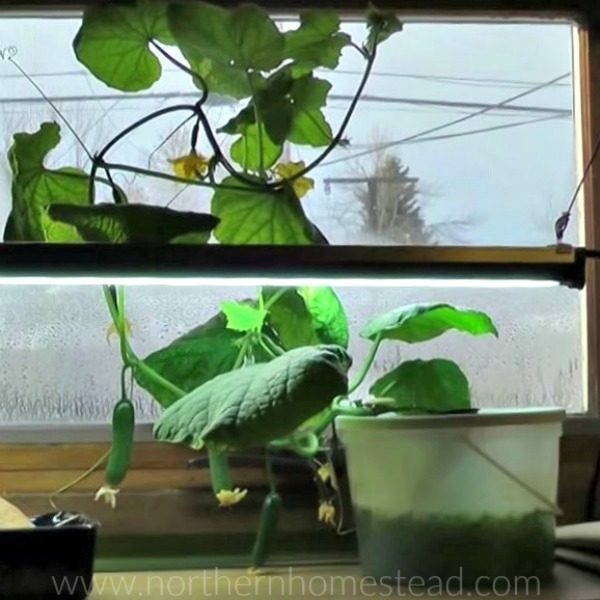 We use grow lights and the water heater as needed. 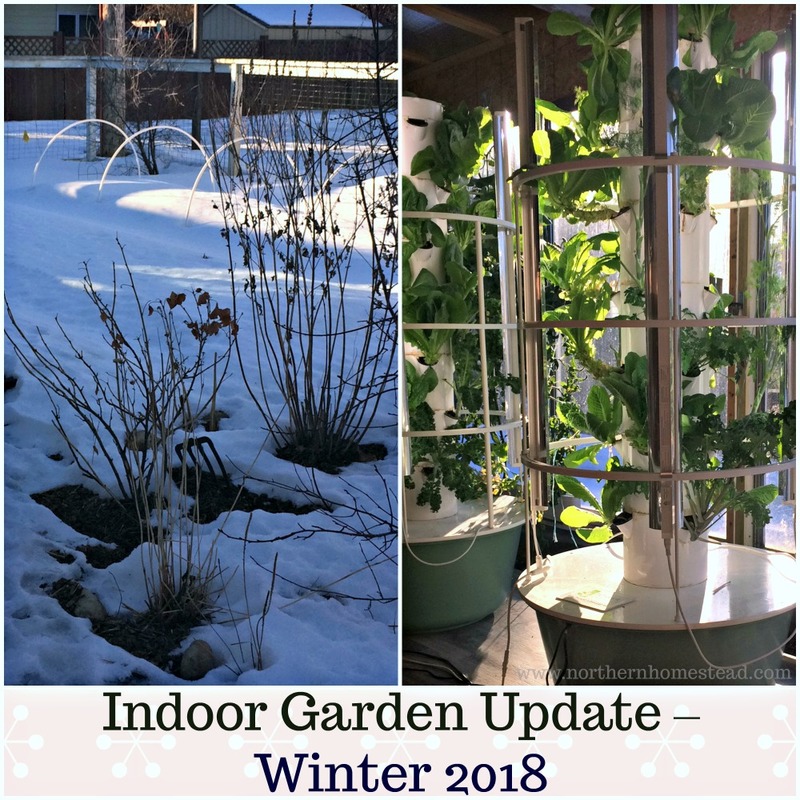 Greens and herbs grow very well in the Tower Garden indoors all winter long. 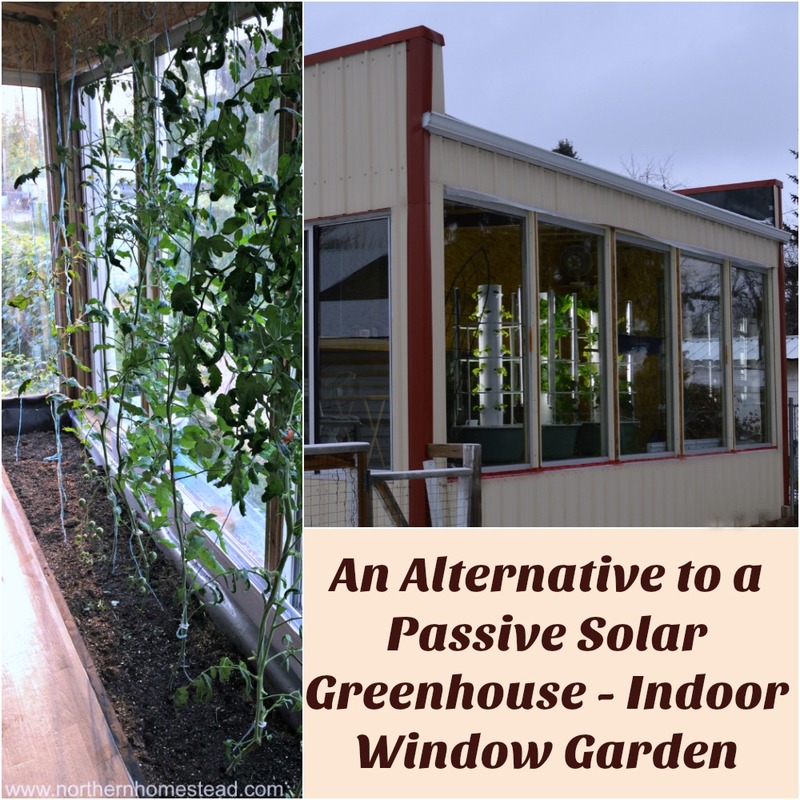 Over time we have had the Tower Garden in our laundry room, basement, and the Garage Greenhouse. 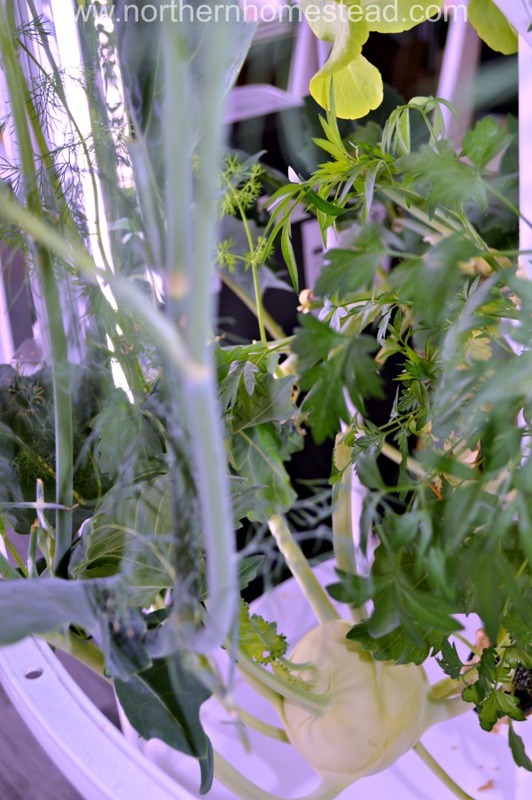 Anywhere where there is about six square feet of space, the Tower Garden can be placed to grow food. 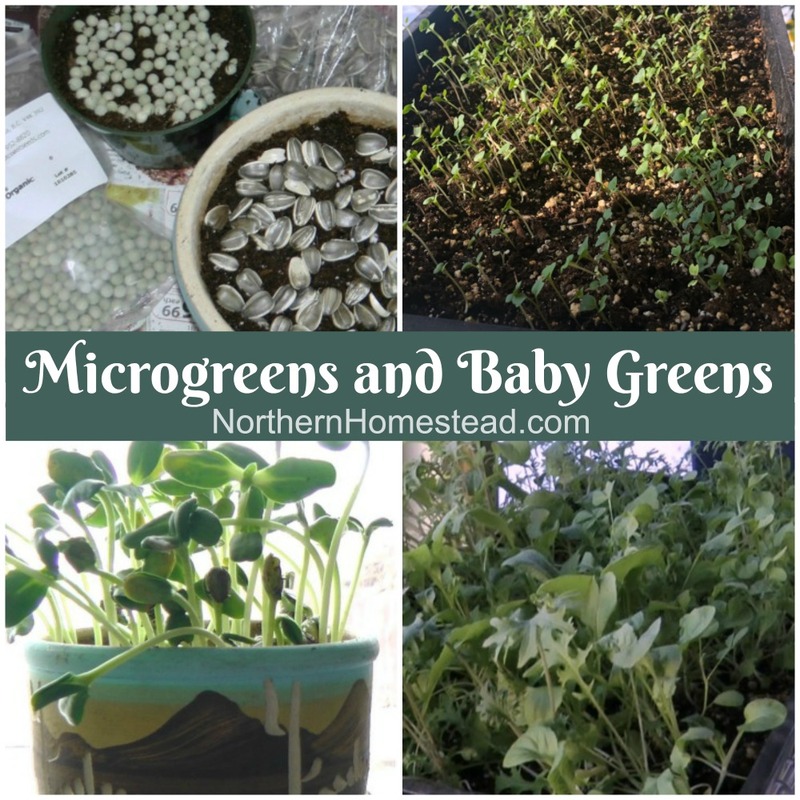 Since we grow mostly greens in the winter, the environment does not have to be very much heated. 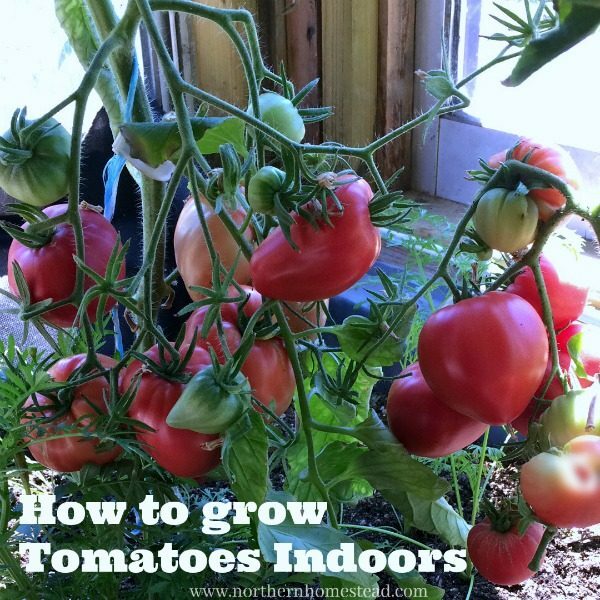 If you want to grow tomatoes you would need a warm spot in the house. 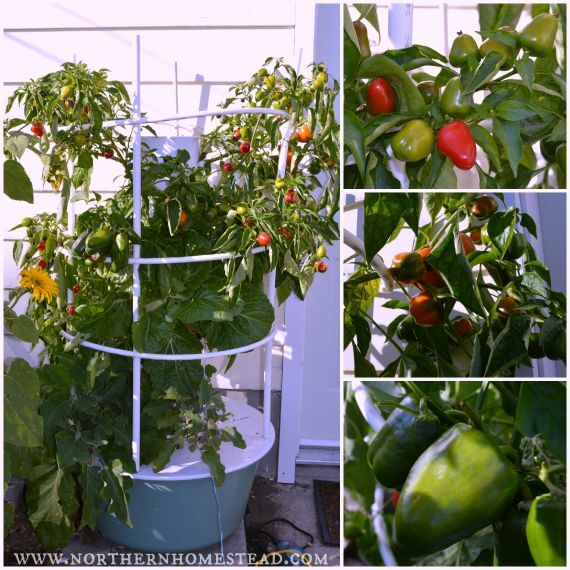 Would we recommend a Tower Garden for short growing seasons and cold climates? Absolutely yes. The Tower Garden helps us to grow plants we would not be able to without it, like peppers, melons and eggplants in our short cool summers. And also enables us to grow our own salad greens all throughout our long Canadian winters. We started with one Tower Garden, and now we have three of them – yes we love Tower Garden gardening. We want to embrace and inspire people to grow more food, to grow healthy. If you want to grow a Tower Garden find a Juice Plus distributed in your area or go directly to the Tower Garden website. 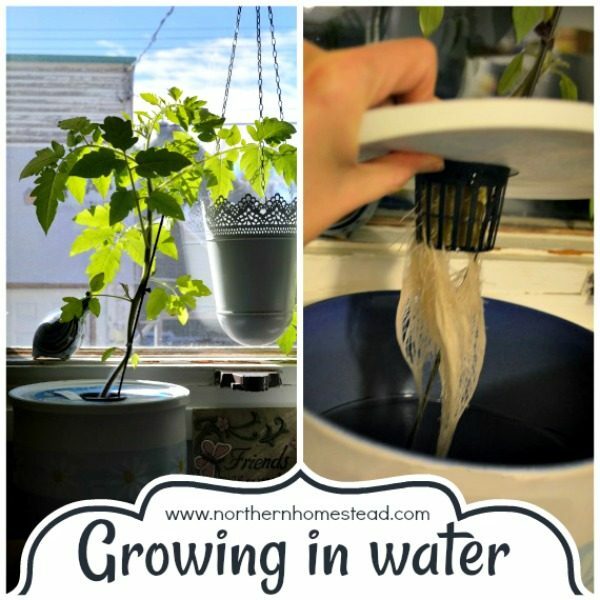 If you are a DIYer, you might want to build a aeroponic tower garden, there are many attempts out there. 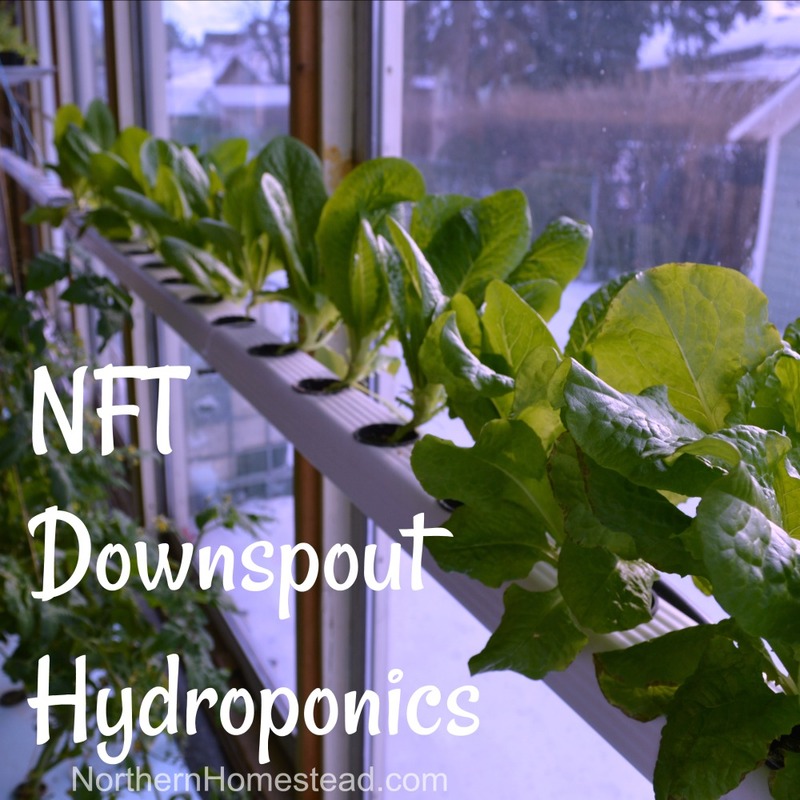 Hydroponics is one of the best ways to grow an indoor edible garden. 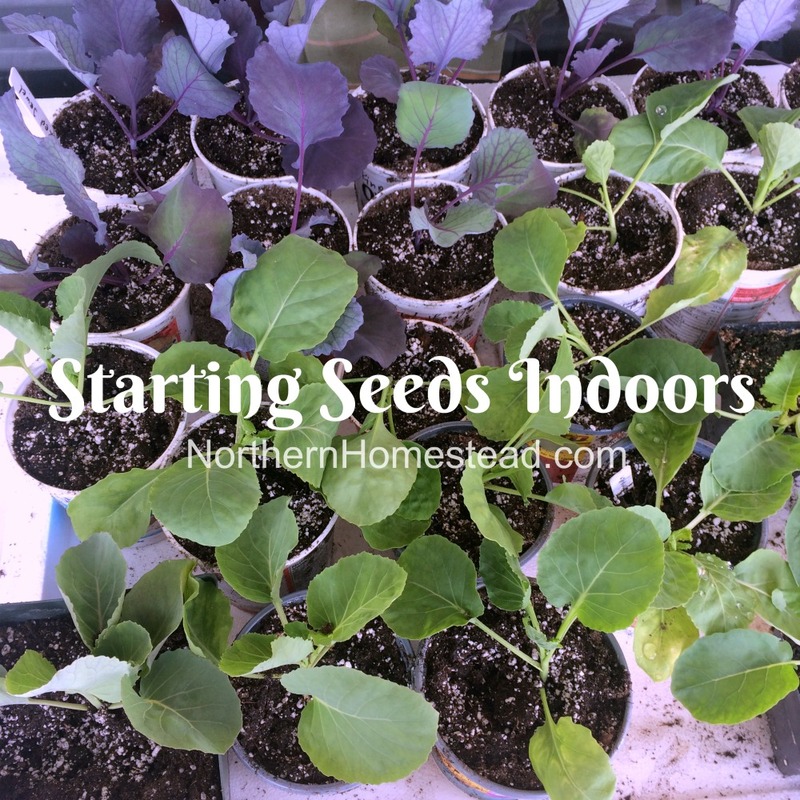 Take a look at all the posts we already shared about growing food indoors, and seedlings for the summer garden. We invite you to subscribe to Northern Homestead and follow us on Facebook or Pinterest so you don’t miss a thing. Hi Debbie, for the Tower garden you do not need a greenhouse. 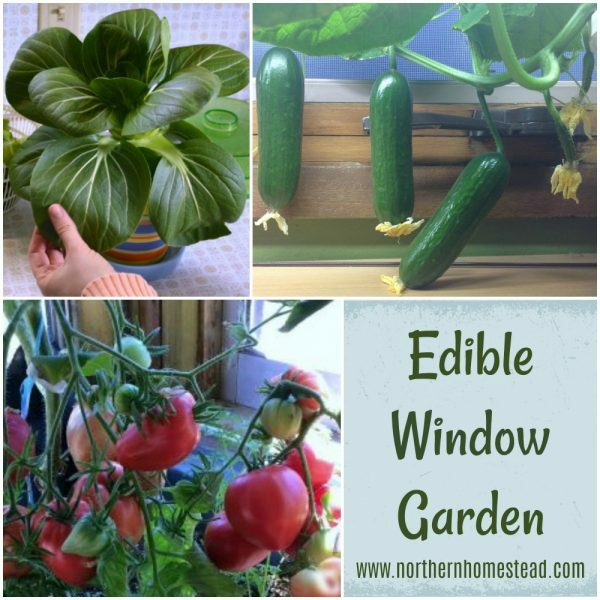 Since Edmonton is further away from the mountains compering to where we are, your summer will be sufficient for growing a great garden. I will email you. 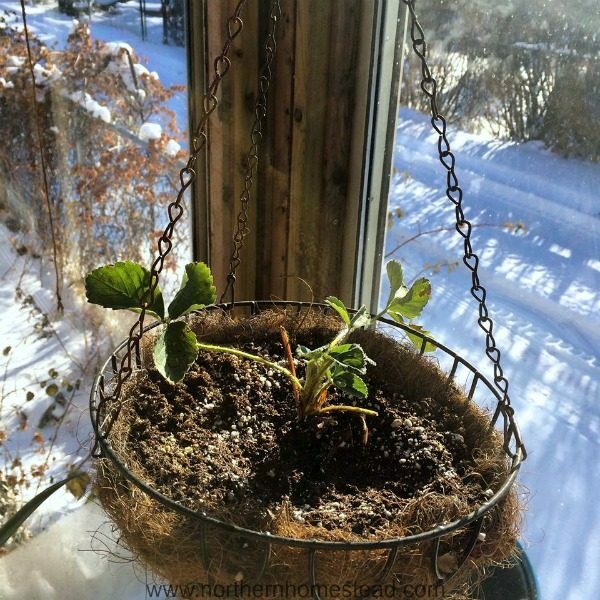 Can you grow tomatoes, cucumbers, beans during the winter if living in Edmonton? 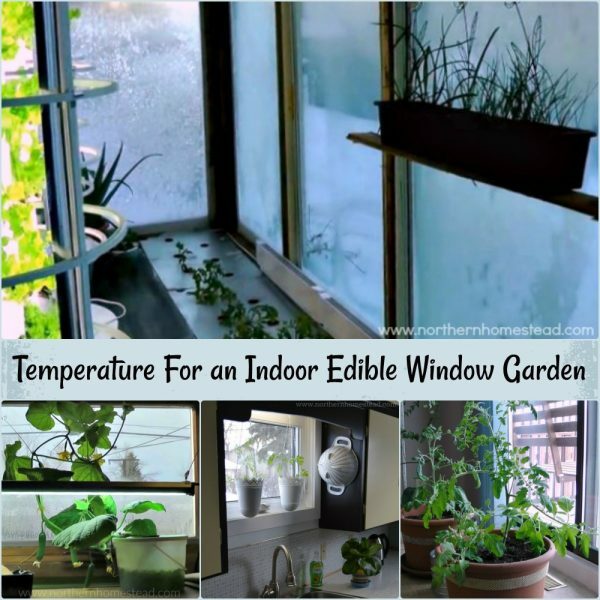 You can, however the plants you listed are all heat loving plants. 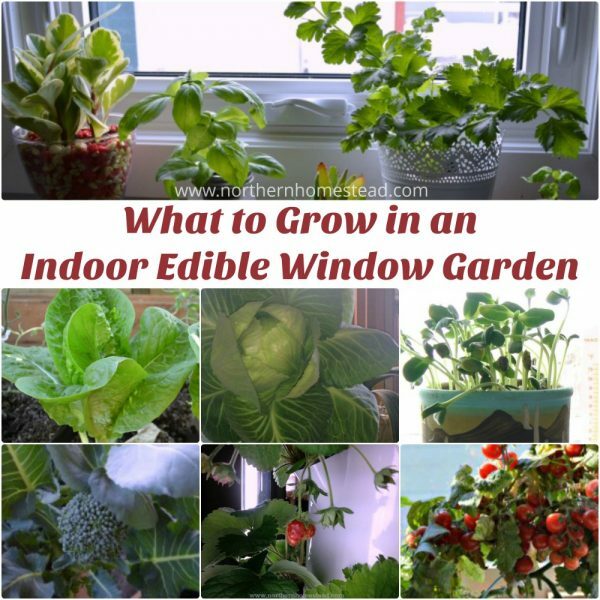 If you like it very warm (above 20C during the day) in your greenhouse or house and you have a sunny window in addition to the grow lights, you can grow this plants. 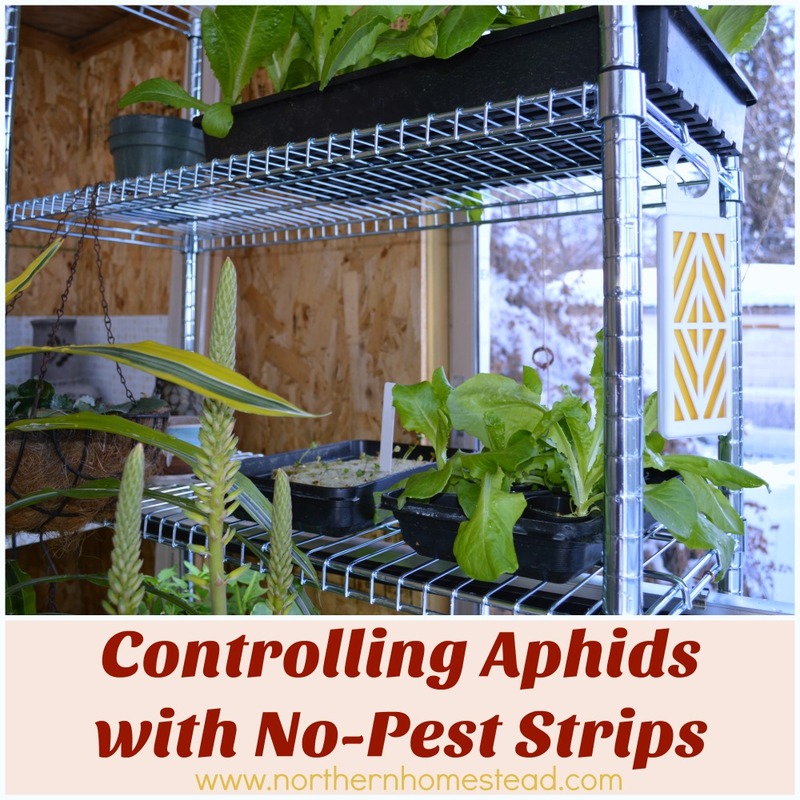 The cucumbers would also have to be a greenhouse variety, that do not need pollination. 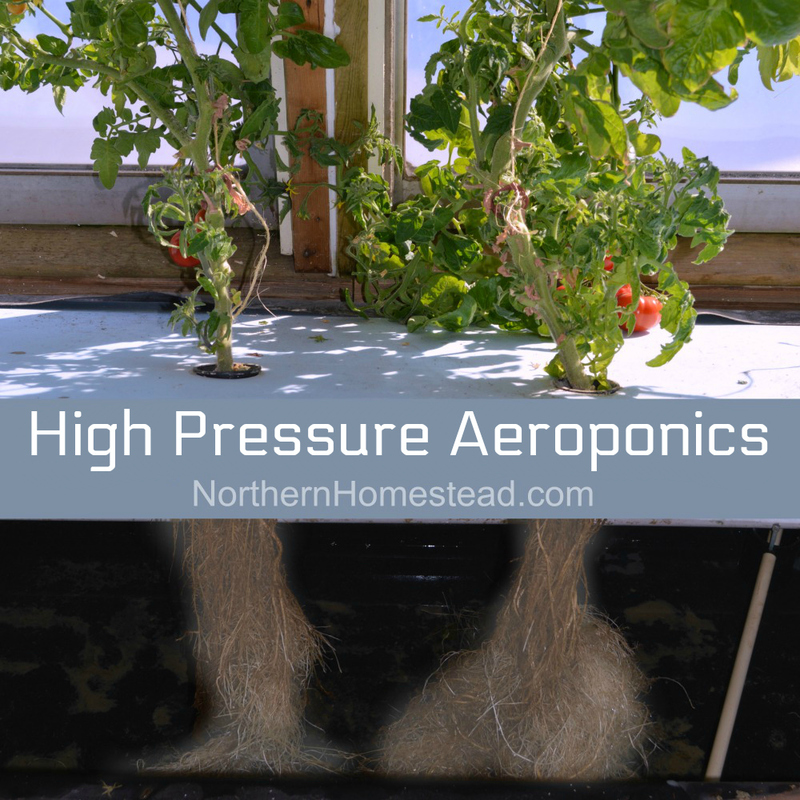 We live in Vermont and I would like to know where to purchase an aeroponic garden tower? The best way is to find a Juice Plus representative in your area or go directly to the Tower Garden website (link is in the post).